People of the Vines is a ground-breaking new observational documentary television series engaging with viewers across multiple platforms, following six winemakers through the drama of vintage in northern Tasmania. People of the Vines is an original concept created by Peter Blackburn and Graham Young and is now in production in association with Zone 4, Vizible Entertainment, and Tyson Stelzer. 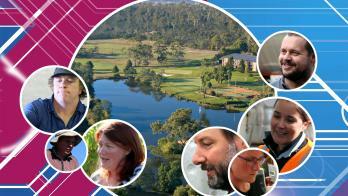 Check out the promo for season 1 – Tamar Valley!